Home Information What is Orgone Energy? 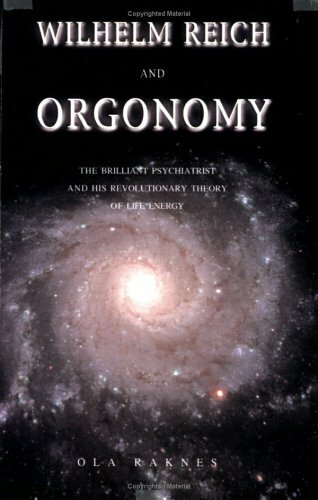 The term Orgone was coined by Wilhelm Reich, an Austrian doctor and scientist of medical Psychology who worked with Sigmund Freud and would become known as one of the most radical practitioners, theorists, pioneers and researchers in psychoanalysis and energy medicine. Reich’s early work in Europe with Sigmund Freud and his published theories on Psychology would attract the attention of conservative censorship as political power in Europe changed in the 1930’s. Reich would emigrate to the US from Norway ahead of the Nazi control of Germany where his views and ideas had made him an intellectual the Nazi regime viewed as incompatible with the new German ideal and his books were amongst those burned in the public burning of forbidden literature. Reich claimed to have discovered a form of universal biological life energy in the late 1930’s he called ‘Orgone’ which flowed through the body with physical and mental health being vitally reliant on the flow of this energy. He claimed to be able to measure this energy and to be able to see it under certain laboratory conditions. A basic premise of Reich’s theories was that the energy he termed ‘Orgone Energy’ did not dissipate from a higher state to a lower state, as energy does in classical physics, but rather Orgone energy magnifies and increases under the right conditions. Reich claimed that a decrease or block of Orgone energy resulted in illness and he was particularly interested in the treatment of cancer as it related to his ideas of Orgone energy being blocked in the body. Wilhelm Reich coined the term Orgone to describe the essential energy of life everywhere throughout nature. Also known in other literature and various spiritual teachings as “Chi”, “Prana”, “Ether”, “Élan Vital”, or “fifth element”, and discussed in physics as dark matter, this vital energy underpins all life. It may be neutral (OR), positive (POR) or damaging (DOR = deadly orgone energy). When positive, Reich postulated that it enabled organisms to maintain a healthy condition. “DOR (Deadly Orgone Energy) is POR, (Positive Orgone Energy) but “armoured” as Reich called it. ‘Armouring’ means that the living energy doesn’t circulate freely any further, but has been compromised into a rigid form. Whenever a knight wears his armour he cannot move that freely any further. The same is applicable with energy when ‘armoured’. Take a look at mother nature. When water flows freely, it’s full of vitality and life in it flourishes. When water turns stagnant, it develops into a stinking pool, and life in it is dissipated. DOR is negative or blocked energy, that is, it suffocates life. The Orgone accumulator cabinets that remained after Reich’s incarceration, and the ordered destruction of Reich’s writings and equipment concerning Orgone energy, were later used by luminaries and famous people such as Allen Ginsberg, Paul Goodman, Norman Mailer, Jack Kerouac, Sean Connery, Isaac Rosenfeld, J.D. Salinger and others. Areas of Reich’s research such as ‘cloud busting’ as well as his Orgone accumulator cabinets found their way into film, literature, music and popular culture in the U.S. after his incarceration and death. Reich spent years testing his theory and devices on laboratory mice and later on human subjects, carefully recording data on what he observed to back his claims. Though his science was considered ‘pseudo science’ he was a diligent researcher and developed his theories with scientific discipline, albeit with his own determined certainty that his theories were true. Reich needed strong conviction to swim against the increasingly powerful tide of ‘mainstream’ opposition, vested financial interests and entrenched scientific theory accepted as the norm for the times. A contemporary of Reich’s in the field of electrical physics, Nicola Tesla, had also experienced the impeding effects of similar opposition in his field of research especially when his work later directly threatened the investments of J. P. Morgan and Wall street in the copper mining and cable industry. Reich tried to convince Eintstein of his theories in a private meeting with Einstein. Einstien was interested in Reich’s initial proposition that he could prove that Orgone energy could be used to heat an object to a high temparture without an aparent heating source. Einstein agreed that if this was possible it would be “a bomb” and perhaps an alternative to the atomic bomb that Einstein was pressing Roosevelt to develop ahead of Nazi Germany. Einstein also tested Reich’s Orgon Accumulater device stripping it down to the Faraday cage. Einstein felt Reich’s theores were “too radical” and later distanced himself from Reich and his work refusing further contact. Reich and his work was condemned by the the FDA and FBI in the paranoia of the 1950’s and this resulted in a court case and his imprisonment where he died in gaol, reported as a heart attack, in 1957 at the age of 60. Ironically his books and publications were burned again and 6 tons were destroyed in a New York public incinerator as part of the FDA/FBI prosecution. This action was objected to by the American Civil Liberties Union and is seen as one of the worst cases of censorship in U.S. history. Reich’s Orgone accumulators were also seized and destroyed but Some of his devices survived him. Although Reich and his work is still dismissed as pseudo-science by mainstream science there was renewed interest in his work at Harvard when his unpublished papers were opened 50 years after his death, as per his wishes. Although, after lengthy review, consensus still remained in the scientific mainstream that his science was flawed, but there was praise from Harvard for his cutting edge research in light microscopy and time lapse micro-cinematography in the 1930’s. Reich’s prophecy that mainstream science would have progressed enough in 50 years after his death to understand his work proved to fall short of the mark (on the issue of science being stuck in its own beliefs structure paradigm see the TEDx lecture below) but it is perhaps a credit to Reich’s foresight that the consciousness of the non-scientific public has embraced his work and theories with interest growing exponentially in Orgone energy and Orgonite devices. Reich is both revered and dismissed on various levels. His work on psychology and psychoanalysis led to Gestalt therapy and is highly regarded and used as a part of mainstream practice. He is seen by some in the scientific community as being eccentric and naive, yet this seems at odds when considering his training, enormous experience and meticulous research. It also seems suspiciously ironic that great effort was made to vilify and persecute him resulting in his untimely end in gaol through action by the American federal authorities, via the FBI and FDA. This fierce attack on him was further ironic with a complete destruction of his publications ordered in a way reminiscent of the earlier Nazi destruction of his books in the 1930’s. One is led to ask why he was attacked and persecuted to such an extreme if his theories were considered nothing more than those of an eccentric. What were the federal authorities afraid of? Whose interests were they protecting and whose interests were directly threatened by his work? Why go to such vicious lengths to attack and discredit him if his work was deemed unimportant and of no substance? The mainstream field of 20th century scientific research (with the exception of the new quantum theories in physics of the time) denied and mistrusted anything that was deemed not empirically measurable using the scientific method. Theories that could not be fully proven to the satisfaction of the mainstream existentialist and humanistic scientific community of peers were discarded wholesale and were often labeled pseudo-science. Scientific research that pushed the boundaries of accepted reality would sometimes end up with a following in the occult movement and later the New Age movement. These moments attracted people more predominantly ‘right-brained’ and intuitive in their thinking and so prepared to adopt ideas with a ‘felt’ inner conviction of truth before the ‘hard evidence’ could be produced, sometimes requiring the later emergence of new technology. This is not to vilify the scientific method, but the more narrow pursuit or vision of science can at times discard much that is valuable and understood intuitively, waiting for scientific research to catch up. The proverbial “throwing the baby out with the bath water”. An example of this meeting of science and intuitive knowledge can be seen with quantum theory today (what Einstein referred to as “spooky” science) where ancient knowledge from the Indian Vedic traditions has proven compatible with discoveries in quantum scientific knowledge and theory on the nature of reality, matter and energy as explained in quantum physics at the quantum level. 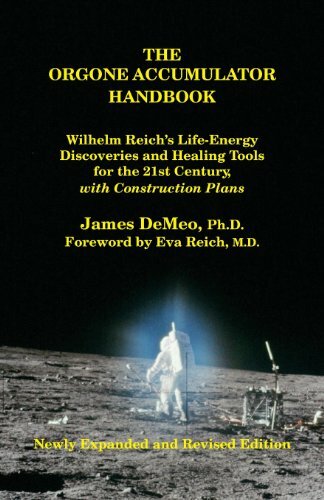 The scientific and medical community today may still keep Wilhelm Reich and his work out in the cold yet it would seem that in many areas of his research he was a man way ahead of his time, looking at a more wholistic picture of energy and healing in a very practical way that could bring real and measurable results. His concepts would never be fully accepted or understood in the theory and bias crucible of his own time until thinking, science and medical business would later evolve in the areas we now see developing today. The closing of the gaps between science, physics, spirituality and mysticism. 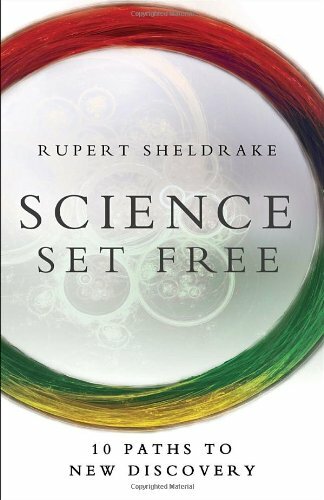 An example of this ‘new’ scientific approach is the work in the area of biology done by Dr Rupert Sheldrake, with his theories in morphic fields and resonance. Also the work of Dr Bruce Lipton with his theories on epigenetics examining cellular behaviour influenced by energy outside of the cell causing preferential change, as opposed to just considering genetic predisposition as expounded in his theories from the ‘Biology of Belief’. The work of both these scientists has been at times treated harshly by the mainstream ‘scientific atheistic and reductionist belief system’ of science championed by Dr Richard Dawkins. “Prana is the universal principle of energy or force. It is the sum total of all energy that is manifest in the universe, all the forces in nature and powers which are hidden in men and which lie everywhere around us. This prana remains in a subtle, motionless, unmanifested, undifferentiated state during the cosmic pralaya, dissolution. When the vibration is set up, prana moves and acts upon akasha, space, and brings forth the various forms. The macrocosm, brahmanda, and microcosm, pindanda, are combinations of prana and akasha. Fabien Broquard produces bulk ‘tower buster’ Orgonites and ‘cloud buster’ devices. He has been studying Orgone energy and its effects since 2006 and has been dedicated to gifting Orgonites around France and other parts of Europe. His university study and training is in the disciplines of physics and astro-physics giving Fabien’s personal research and comments on Orgone energy special significance. His website is extremely insightful on Orgone energy explaining his experience and understanding of Orgone energy from his training as a physicist and personal experimentation. His many pictures of various tests carried out on the effects of Orgone energy helps to give further understanding on the effect of Orgone energy on materials and living systems. The testing documented with ants as a subject is very interesting and images of frozen water reveal the effect of Orgone energy in a way that can be easily seen. I would urge you to check out his site but you will need to translate it from French. If you are in Europe I would recommend Fabien as a source for inexpensive tower buster Orgonites. See these links for information on the electromagnetic spectrum and waves: English. French. “I’ll stay in the field of physics / music to try to explain why some electromagnetic waves are harmful. Everything must be seen from a perspective of harmonics. If you know anything about music, you will understand very quickly. A musical chord consists of several notes that are related to each other by a specific ratio. Harmony in music is based on the perfect relationship between different vibrations. These relationships can be applied to any other wave, sound, light etc. Everything can be seen in terms of energy and energy is governed by a rule of thumb, the vibration. Every form of energy has a vibration or movement. “There is also another thing that makes me think that the alternating current commonly used vibrates at a frequency unsuited to life and is a great source of negative orgone because a Tesla Coil is the source of the most powerful orgone to date and people feel good energy near a Tesla cool. It fits perfectly with my vision of the orgonite. For a Tesla Coil is a very high voltage generator by a principle of resonance, so the electrical signal coming out of a Tesla Coil is perfect. It is hardly electrical energy because there is almost no current, while the current is converted to voltage (electric field or virtually pure orgone in my opinion). But also a Tesla Coil uses frequencies often far higher in MHz, while the power lines do not often exceed 500kHz and AC in buildings is 50 / 60Hz. Finally, it seems to me that orgonite transforms electrical signals (voltages) that are distorted and/or vibrating at a frequency not adapted to life, into electrical signals vibrating at a different frequency and completely perfect. This new frequency is perfect because it is in harmony with nature and all life especially when it stems from a resonance with a natural stone such as quartz. But quartz is one of the most abundant minerals on earth, so it is obvious that the quartz is in perfect harmony with nature and life in general. We maybe underestimating the great value and importance of tower buster Orgonites that are voluntarily placed at the bases of transmission towers to offset the transmission effects of microwave towers. This great work is called ‘gifting’ and is being done by amazing people like Fabien. I would urge you to look at his page on climate effect (and buy his tower busters if in Europe!) showing the amazing effect of the tower buster gifting exercise in Cyprus resulting in the incredible cloud formation over the tower installation he gifted: Cloud over gifted transmitter location in Cyprus. With reference to the effect on microwaves on bees and birds in the documentary I would draw your attention to an experiment with ants that Fabien has documented on his website with an ant colony under which a wireless transmission antennae is placed directly beneath an ant colony and then the effect on the ants after placing 5 Orgonite tower busters in the direct area of the colony and the antennae. Although the effects of the antennae (placed right under the ants) was not totally prevented by the tower busters it was shown in the experiment that there was an undeniable improvement in the recorded results from the ant’s behaviour, shown as linear speed (overall improvement on averaged effects on speed being 34%) and angular velocity of movement (overall improvement on averaged effects on angular velocity being 66%). Without claiming conclusive evidence which wold require the experiment being repeated by other research groups producing the same or similar results, non-the-less this experiment proved a reduction in the effect of the wireless transmissions on the ants with enough tower busters being present (five in the case shown). The signal was not jammed or blocked, so the assumption can be drawn that according to Reich’s theories the energy of the signal was being changed from DOR to POR. This can be seen in the table: Ants reacting to wireless transmission and introduction of orgonite. (I would like to see this experiment repeated using pyramid shaped Orgonites with the correct balance of metal to organic material (50%) and the optimal 5 crystal arrangement. Various crystals and stones along with special conductors seem to increase the positive effect of Orgone pyramids. “For transmitted information and even our bodies, animals, all living things generate more or less electrical signals, otherwise we could not measure our heart rate with an electrocardiogram for example. Our brains generate electrical impulses constantly! Orgonite can clearly have a harmonizing effect on all living beings in proximity, including plants. “When talking we emit a sound wave, so a vibration. Considering further, when we think it creates an electromagnetic pulse in our brain, so a wave too. Seeing it from a point of view of harmony one can imagine what it means to have positive or negative thought as a degree of harmony; our thoughts being more consistent with each other is better. If our thoughts are in harmony with other people’s thoughts, this will also be reflected in our actions, in our voice and we will be in harmony with people who are equal or harmonic with our vibration! Everything is a vibration or movement, everything. So a positive thought is a thought that it will be in harmony with as many things as possible, with nature, with air, with animals, with other humans. The more we are in harmony with everything around us, the more our thoughts will be called positive. Negative thinking is a lack of harmony and again, this is not really correct. There is no real positive or negative thoughts, there is just the harmony or disharmony! If what we think is “negative”, e.g. “the world is rotten,” what we will get is consistent with similar vibrations, which are in harmony with our thoughts and therefore our actions, our voice, our movements will also reflect this thinking. A thought is not really negative in itself, it is in harmony with the things we consider to be negative, so if we think that the world is rotten and our whole being will do what it takes to attract what is in harmony with these thoughts that is rotten events! Note: other sources or references are also noted directly in the body of the article with links given and videos. A special note of thanks to all acknowledged sources and authors whose information, knowledge, passion to make a difference and creative work have made it possible to write this information article. Thank you!